After the Turkish Military Intelligence attempted an assassination of Kurdish leader, Abdullah Öcalan in Syria, a young Kurdish woman, Zeynep Kinanci or ‘Zîlan’ took the decision to avenge this attempt and to also protest against the Turkish regime’s brutal and ‘dirty war’ against the Kurdish people in Turkey that was being hidden from the outside world. 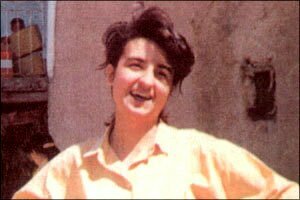 On 30 June 1996, she walked onto a Turkish military parade in Dersim amongst the occupying forces of her country, Kurdistan, and detonated herself, killing and seriously wounding dozens of Turkish soldiers. Before she took this action, which she planned and conducted on her own, she wrote an open letter to the President of the PKK, Abdullah Öcalan. For those who try to understand the PKK’s willingness to resist, sacrifice and fight against all odds, it is important to read the militants’ own theorizations of their actions. As the letter below illustrates, against attempts to pathologize sacrificial actions, militants such as Zîlan are well-aware of the implications of their decisions, which they resort to in moments of total besiegement by colonialism. The action of Zîlan accelerated the Kurdish women’s movement’s efforts of autonomous organization, which has begun with the formation of an autonomous army. 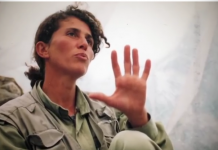 Her life and death helped spark the moves towards the foundation of a women’s party (today’s PAJK) and the articulation of the “Women’s Liberation Ideology” in the PKK. Abdullah Öcalan has written dozens of pages on Zîlan and dedicated entire educations to her, warning his comrades not to misunderstand the meaning of her action. While much of the guerrilla tactics at the time were inefficient and ill-executed, he explained that Zîlan’s practice constituted a “manifesto of life”. 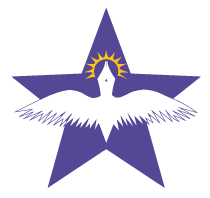 Whilst he always discouraged suicide actions, Öcalan instructed the militants to see Zîlan’s guerrilla action as a harsh criticism of their failing tactics. Until this day, Zîlan is one of the most respected martyrs of the PKK movement. Women such as Arîn Mirkan and Avesta Xabûr have been compared to Zîlan in their self-sacrificial actions against ISIS in Kobane and the Turkish state in Afrin in recent years. 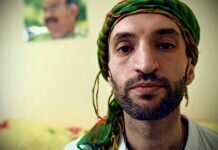 The following English translation of extracts of this letter were first published in 2015 on KurdishQuestion.com, which was co-founded and led by Kurdish revolutionary Mehmet Aksoy. My name is Zeynep Kinaci. I was born in Malatya in 1972. My family comes from the village of Elamli. We belong to the Mamureki tribe. I studied tourism and psychology at the Inonu university in Malatya. Before I joined the liberation movement, I worked at the state clinic in Malatya. I am married: my husband comes from the village of Ixliya. He also went to the university of Malatya. During a clash in Adana, he was captured by the enemy in the winter of 1995. My family was fairly well off and I had a liberal upbringing. My interest in the Left and the Kurdish movement was aroused during my university studies, although at the time I was not attracted to any particular movement. I believe that my support for the PKK and the liberation movement had its roots in the fact that my family was concerned to preserve their Kurdish identity. We had a number of patriotic friends but we were not organised or anything like that. Also, the economic problems which beset my family prevented me from discovering my own identity for a long time. But slowly the situation changed, so that I was able to make a mature and confident decision to join the liberation movement. In 1994, I started to fight at the front in Adana for one year. In 1995, I joined the ARGK [Guerilla] units in the Dersim region. It was at this time that I made a big development, both personally and politically. Our fight under the leadership of the PKK has saved the Kurdish people from its total destruction and led it onto the road of liberation. To inspire a people whose national values, soul, consciousness and identity belonged to the enemy, to stand up and fight, demands a great sense of responsibility, historical knowledge, courage and determination. The PKK and its founder Apo, have roused a people from its slumber. A people which had no leadership, lacked patriotism and intellect, whose history was denied by its oppressor: a people who served the enemy and imperialism and had become increasingly dehumanised was inspired to take up the struggle and fight for its independence. The great poet Ehmedê Xanî once said: “If we had an honest and honourable leader, we would never have been enslaved by the Turks, Arabs and Persians.” A people whose individual members always and only act in their own interests, or in those of the family or the tribe and was always ruled by bogus leaders, has long been exposed to this curse. History shows that no national struggle can be victorious without a leader who devotes his life to the people, who feels its pains and its desires, who selflessly recognises the practical tasks of the liberation struggle. A people which was totally alienated, whose political social and cultural values were exploited, posed a great challenge for the PKK leadership. Our party has started on the road to liberation under extremely difficult circumstances. Its attitude to religion, to questions of identity and the family, are unique. The arming of women and women’s conferences and congresses have been organised by our party. The life of the party leadership, its courage, dedication to the cause, its intelligence, far-sightedness, its closeness and sensitivity to the ordinary people, its methods and experience is incomparable by the standard of any movement. Its interpretation and analysis of events is non-dogmatic. The party leadership has developed the Kurdish revolution through the correct synthesis of revolutionary theory and practice and in full consonance with the Kurdish reality. It has achieved this neither by imitation nor through dogma, but creatively. The often-adduced reason for retarding our personal development, such as the influence of the bourgeois and feudal ideas, the special war, and hostile influences, which usually form the starting point for sterile self-criticism are facile and inadequate. I believe that the most effective self-criticism is the practical realisation of our historical tasks. The enemy wages a total war against us. Our answer must be total resistance in the struggle for our freedom. Resistance has become the characteristic basic principle of the PKK. We have to lay claim to this historic heritage and act according to the demands of this period. This makes actions like voluntary death an inevitable necessity. Under certain conditions it is a tactic which will affect the enemy as much as boost the morale of our own people. At a time when the enemy is trying to achieve its aim by assassination attempts on our leader, this is the only response left. Such an action creates a siege situation for the enemy who lacks any moral grounds for their own action and is in a permanent state of confusion and crisis. It will show to friend and foe alike our total determination and preparedness to achieve our freedom, even at the price of our lives. Dear President, I see myself as a candidate for a voluntary death. I willingly concede that to give our lives is, from the standpoint of your unending and tireless work for our liberation, not enough. I hope to be able to contribute much more than my life. Through your struggle you have succeeded in bringing our people to life. You are the guarantor of the Kurdish nation and a guardian of world humanism. Your life gives us love, courage and belief. I consider this action as a duty. I am convinced that to overcome my weaknesses and the realisation of my freedom, this action has to be carried out. I want to follow the examples of our comrades, Mazlum, Kemal, Hayri, Ferhat, Bese, Beritan, Berivan and Ronahi. I want to be part of the total expression of the liberation struggle of our people. 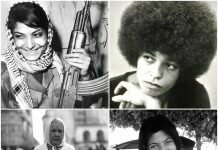 By exploding a bomb against my body I want to protest against the policies of imperialism which enslaves women and express my rage and become a symbol of resistance of Kurdish women. Under the leadership of Apo, the national liberation struggle and the Kurdish people, will at last take its richly deserved place in the family of humanity. My will to life is very strong. My desire is to have a fulfilled life through a strong action.